Hey there, we apologize for the delay in response here, but we have passed along the info you've all provided to the rest of the team so that they can investigate this issue. Quick update for everyone: The team has checked into this and is hoping to have a fix ready for this in the next major update. Yay! Hopefully it will be truly be resolved in the next major update. Thank you. It is not mentioned in the 19.1 patch notes. Hopefully this will get fixed in the next “major” update... whenever that is. I dont expect timely fixes from Kabam anymore. It took them over 3 months to fix Scalet Witch’s power drain bug earlier this year. Can you please follow up with the game team on these issues with Rogue? I sure hope it wasn’t forgotten. It would be a shame for her to be bugged for another month. Would appreciate an update on the bugs with Rogue from any Mod. We were promised a fix that never came and then it went ignored for another month. If we have to wait another month for a fix, it will have been 3 months (a season) since this was first posted. Keep in mind that Rogue has been bugged like this long before I started this thread. Would appreciate a response on when these problems with Rogue will be fixed. I’ve been asking for an update since 8-19, 3 weeks ago and this thread is 2 months old. I must express my frustration about how Kabam goes about fixing bugs. I’ve spent more than enough of my time testing Rogue vs various debuffs, posting vids and comments here than should be necessary. 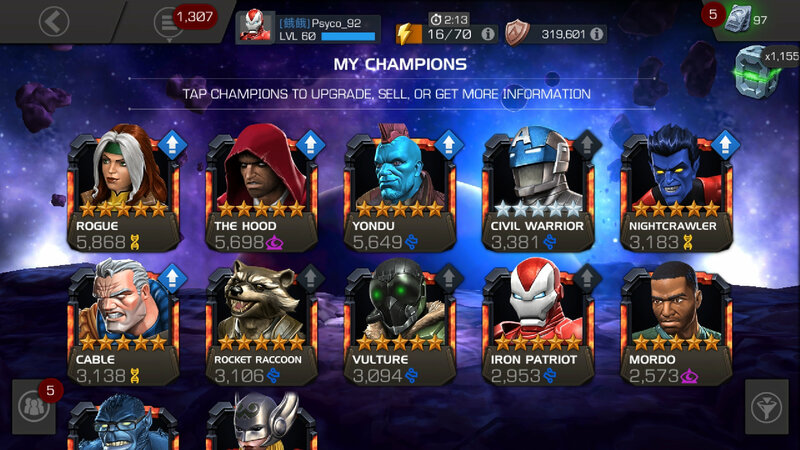 To see this acknowledged as a bug 2 months ago, get promised a fix that didn’t happen, and then get ignored for 6 weeks, reflect very poorly on you, Kabam. This gives your customers the impression that you don’t care. It took 3 months to fix Scarlet Witch’s power steal late 2017. Looks like it takes a full season for you to fix bugs that you don’t consider a priority. Shame on you. @Kabam Miike @Kabam Lyra @Kabam Zibiit @Ad0ra_ It would be kindly appreciated if you guys could provide us an update on this issue too. Rogue has been bugged for months. In this fight she doesn’t reduce the incinerate debuff. 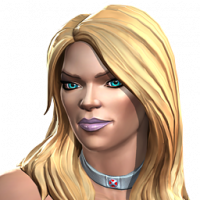 From what’s I’ve tested, she shrugs off bleed, coldsnap and stuns, but does not reduce the length of incinerate, armor break & shock debuffs. Edit: What about Enervate??? Is that a debuff? You are correct about most of it except that Iceman's passive effect does not count as a debuff only coldsnap use him against opponents immune to debuffs and you'll see try iceman in aq lane where they are immune to debuffs. Incinerate doesn't get removed as fast either like you said. Nor does shock. Debuffs are supposed to dissipate way faster with Rogue just like Blade. I stopped using her since it started being buggy i just thought she got silent nerf. Rip Rogue 😔. If you press pause during a fight you will get info to what is a debuff I like that new feature. Hulk Ragnarok does not trigger his Face Me ability against Frostbite. So its not a passive. Passive = not a debuff. Ok you are welcome. If you don't believe me do research. An update to this would be much-appreciated. We know this has been passed to the game team and we got a response from a mod on July 13th that an update would likely be ready to rollout with the next big update. We've since had 2 big updates and we haven't heard a word about this. If bugs that are acknowledged by the game team get ignored, it doesn't give me much hope that the countless other bugs that are going unacknowledged will ever get addressed. It is happening to me to with bleed the second in two stacks dosent speed up @Kabam Miike please fix! Hey there everyone, apologies for the delay on this. We’re still working on resolving this issue, it has just been taking a little bit longer than expected. We’ll let everyone know here as soon as we have new information to share with everybody. The tone seemed much more optimistic during the July 13th post. Did the game team have a setback when trying to figure this out or have they been unable to carve out the time to work on it? Since we’re almost done with September , I’d like to know if Rogue will be fixed in the next update. 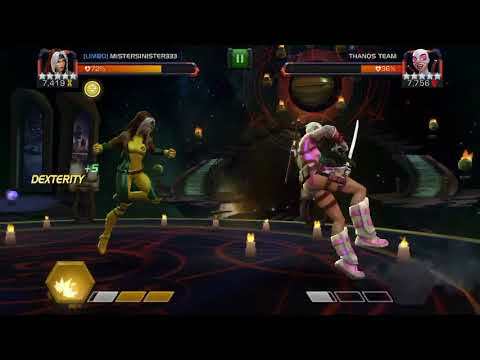 Has anyone from Kabam tested Rogues interaction with Shock and Incinerate recently ???? We're in November and this blood bug remains. I see that the my 5* Rogue has no more salvation. And of course, we even receive compensation for this ou RT for invest in a broken champion.